and gas meter and a series of IC card management application system . 14. Support write/copy cards/tags type : EM4305, 8800, ATAT5577, T5557, T5567,CET5200 or compatible cards/tags . 15. Support Read EM 4001,EM4200 or compatible cards/tags . Attention please : This is not HID device , so it can't read write HID card/ tags . Excellent Customers Service : Providing the Best Quality Product and Best Customer Service is our First Principle . If you have any questions about the product , please contact us at the first time . We will solve in time . The 125KHZ RFID ID Card Reader can support Write/Copy EM4305,8800,ATAT5577, T5557, T5567,CET5200 or compatible cards/tags . 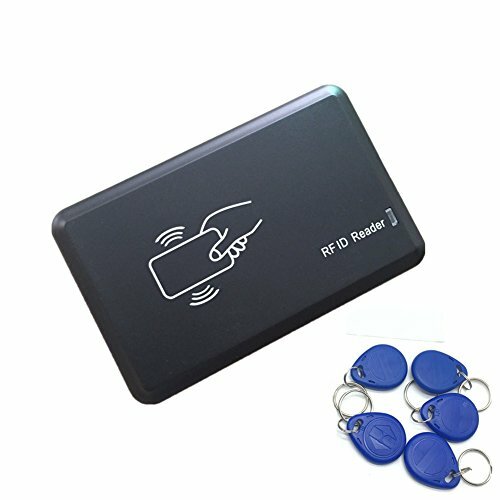 125KHZ RFID ID Card Reader can support Read EM 4001,EM4200 or compatible cards/tags . Plug and play,with USB interface desktop 125khz RFID reader/writer . Default 8H10D format, you can select . 125khz, It can't read / writer HID cards . If you have any questions about this product by JEERUI, contact us by completing and submitting the form below. If you are looking for a specif part number, please include it with your message.